Healthy Methi leaves Samai Millet Dosa is a fantastic breakfast to start your busy mornings. If I say methi, the very first thought that comes to your mind is the bitter taste. But in this dosa I can hardly get the bitter taste and the only thing that I get is the aromatic methi flavour. Breakfast is very essential for us to keep energised the whole day and choosing correct food for breakfast is also important. Millets are fantastic food which are loaded with essential nutrients and fibres. 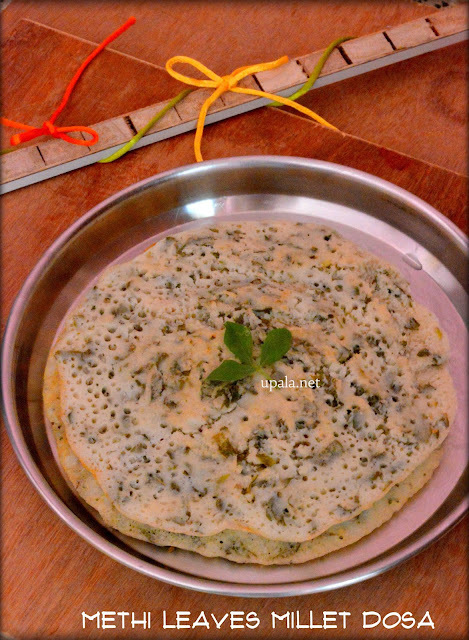 This Methi leaves little Millet Dosa is packed with both the nutrients of little millet as well as methi leaves. To know more about Little millet, click on the picture. 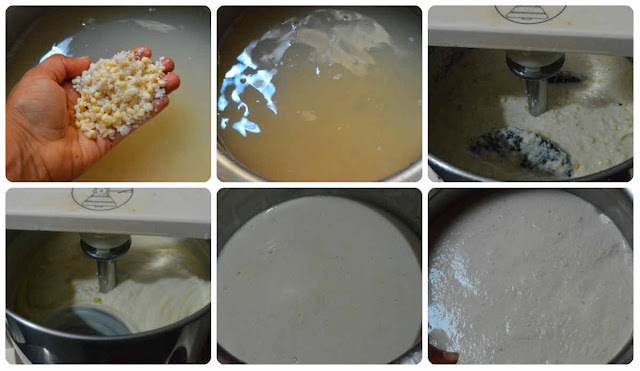 1) Wash and soak Samai/little millet, Idli rice, Urad dal and fenugreek seeds together for 3-4 hours. 3) Add salt to batter, mix well and leave it to ferment overnight. Next day, your fermented batter is ready for dosa. 4) From that fermented batter take required amount of batter. I took 4 cups of batter and diluted it with little water. Wash and clean the methi leaves and chop them finely. 5) Heat 2 tsp of oil in a kadai and add Methi leaves to fry. 6) Methi leaves will shrink in size and gets cooked. Switch off the flame, add the methi leaves to batter and mix well. 7) Heat a dosa tawa and drizzle some oil. 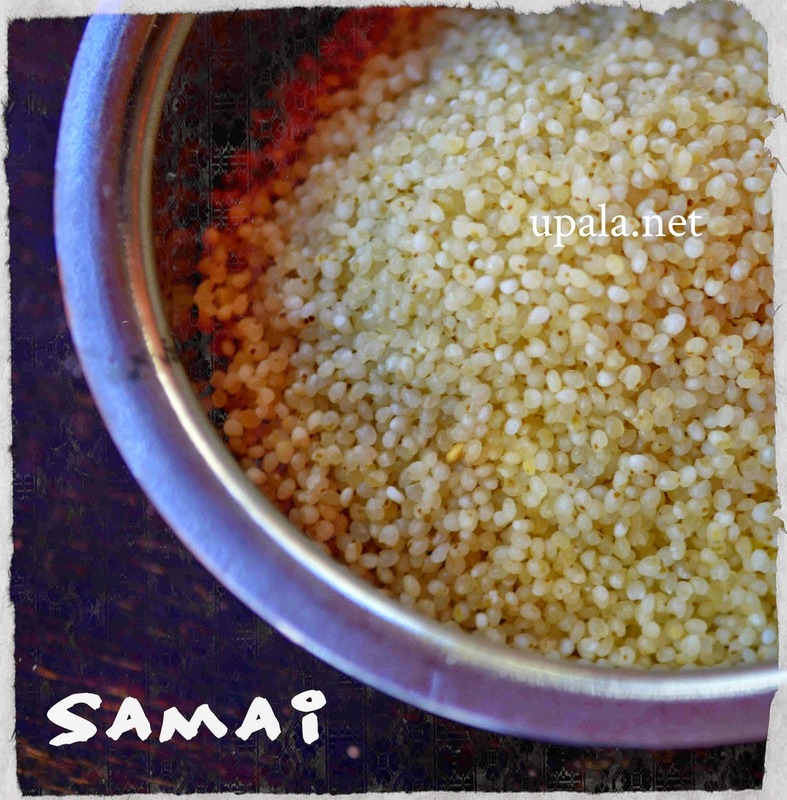 Pour 2 ladle of batter and spread it thick, like how we do for uthappam. 8) Drizzle few oil on sides and close it with a lid to cook in medium flame. 9) After it is cooked, flip it around once and serve immediately. 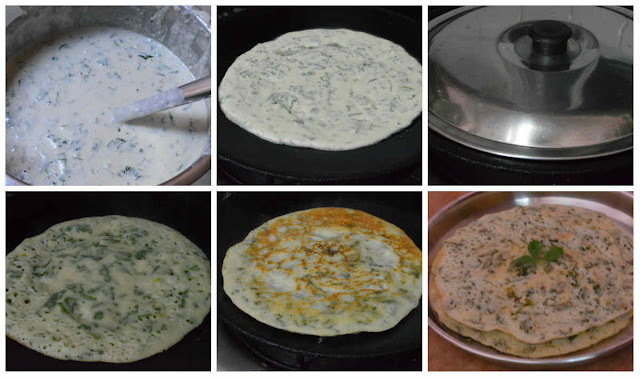 Healthy Methi leaves samai millet dosa is ready....It goes well with any side dish be it chutney or Sambar. 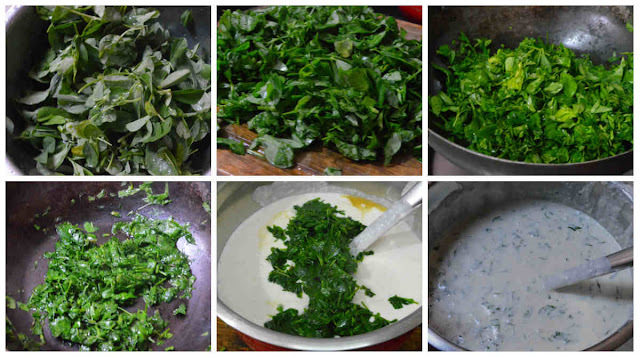 1) You can alter the amount of methi leaves as per your taste. 2) In addition to this, you can also add finely chopped green chillies while frying methi, for added spiciness. 3) If you love onion flavour along with methi, you can also add finely chopped onions. You can add directly to batter without frying.